The Louvre & Orsay- Private tour : Paris essential duo! Discover two of the most beautiful museums in the world accompanied by our experienced English-speaking national museum guide and get ready for an unforgettable experience.Join us in this fascinating journey through the history of art! 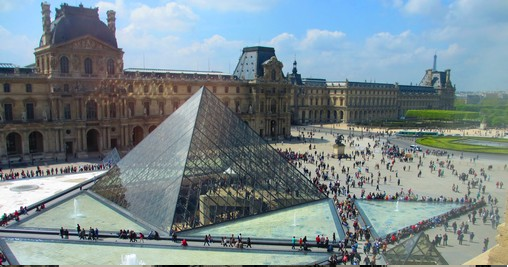 Meet our guide at 9.30 am at your hotel, then discover the Carrousel du Louvre and take a few minutes to admire the majestic architecture of the museum, one of the largest in the world. During this 2 hour tour you will (re)discover Rembrandt, David, Delacroix, and marvel at Leonardo da Vinci’s Mona Lisa, the Venus de Milos and Géricault’s The Raft of the Medusa among many others masterpieces. Lunch break : free time. Meet our guide again at 1:30 pm in front of the Orsay Museum, a former train station, and discover in a privileged way one of the most beautiful impressionist collection in the world: more than 4000 artworks from the second half of the 19th century: Renoir, Monet, Van Gogh, Gauguin, Rodin, Maillol…During this 2 hour visit, our guide will share with you fascinating stories about the artists and their most famous paintings.Guided visits of permanent collections with priority access: avoid the long lines!